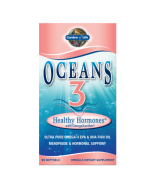 Oceans 3 Healthy Hormones—EPA and DHA from ultra-pure, fish oil with clinically studied botanicals that support women’s health and go beyond omega-3s. Oceans 3 is the only fish oil brand made with Omega-Xanthin®, a unique synergistic blend of molecularly distilled fish oil rich in EPA and DHA, combined with two ocean-based antioxidants: 4mg astaxanthin and 1mg concentrated fucoxanthin. Healthy Hormones is different from other Oceans 3 formulas due to the addition of Ashwagandha, Indian Gooseberry and Wild Hops Extract added for Women’s Health and Hormonal Support.† Three softgels daily deliver 1 gram of omega-3s, including 525mg of EPA and 360mg of DHA. 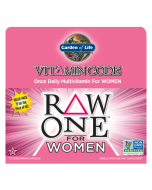 Oceans3 Healthy Hormones supports the hormonal and emotional health for women of all ages by providing all the benefits of an omega-3 supplement plus benefits unmatched by ordinary omega-3 formulation. Oceans 3 formulas are the only omega-3 supplements available with Omega-Xanthin, a synergistic blend of ultra-pure fish oil rich in EPA and DHA, and two ocean-based antioxidants: astaxanthin and fucoxanthin—to go beyond omega-3. With a fresh, clean taste and no fish taste or aftertaste, Oceans 3 formulas utilize a proprietary, multi-state molecular distillation process to produce pharmaceutical-grade fish oil that sets the industry standard for purity and concentration. Sustainability is important, too, as Garden of Life is committed to harvesting fish that are abundant in the wild and never endangered. Adults take 3 softgels daily. Best taken with meals and at least 8 ounces of water. Not intended for children. Softgels are enhanced with a natural strawberry flavor. To preserve freshness, immediately refrigerate after opening. 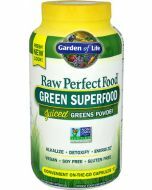 Advanced Usage: Increase gradually to 3 softgels three times daily (9 softgels per day). Filler ingredients, artificial colors, preservatives, gluten and dairy. Other Ingredients: Purified deep sea fish oil (anchovies and sardines), gelatin, glycerin, beeswax, beta-carotene, natural strawberry flavoring, soy lecithin. 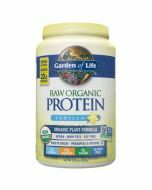 Your diet or health situation may benefit from advanced use of this product. Check with your healthcare practitioner to determine your needs. 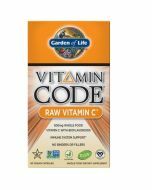 As with any dietary supplement consult your healthcare practitioner before using this product, especially if you are pregnant, nursing, allergic to iodine, use blood thinners, anticipate surgery or are under medical supervision.